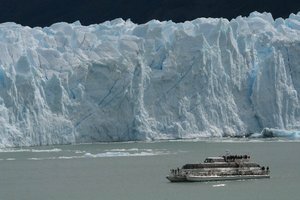 Board a zodiac boat to cross Argentino Lake with close views of the Glacier Perito Moreno. Land on an isolated beach and hike on the glacier. Drive to Puerto Banderas, Argentino Lake, and depart on a catamaran to sail Brazo Norte and Brazo Upsala among icebergs towards Upsala Glacier. 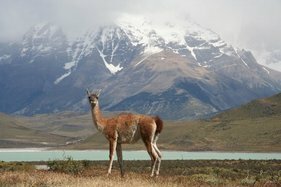 Visit Spegazzini Glacier and Perito Moreno Glaciers. and Pehoe Lakes. Picnic lunch at the Salto Grande waterfall. Visit the Caves of Milodon near Puerto Natales and then drive to Punta Arenas. Visit its plaza, cathedral and see the mansions built at the beginning of the century by the big cattle ranchers. Visit the cemetery and museum. 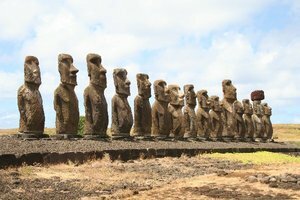 Half day excursion – Visit the Ahu Akivi temple, and the quarry at Puna Pao. Half day excursion to visit Rano Kau Volcano, the ceremonial village of Orongo and the altars of Vinapu Temple. Excursion to visit Vaihu Temple, Akahanga, Tongariki, Te Pito Kura, Nau Nau, Rano Raraku Volcano. Visit the pink-coloured beach at Ovahe then enjoy the afternoon on the beautiful beach of Anakena.